The Coolest Vest of 2018! ERB has really hit a homerun with this vest! 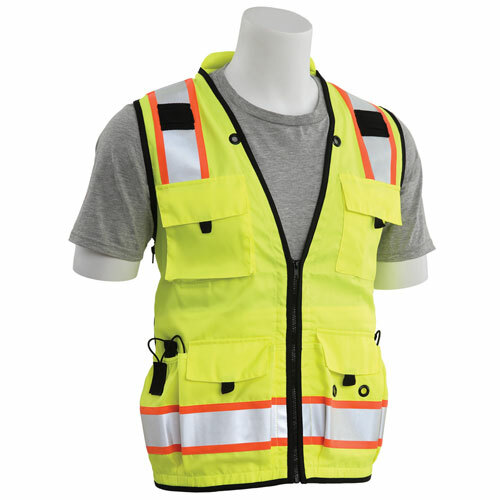 It's stylish, well-made and has all the features our customers ask for in a premium surveyor vest. 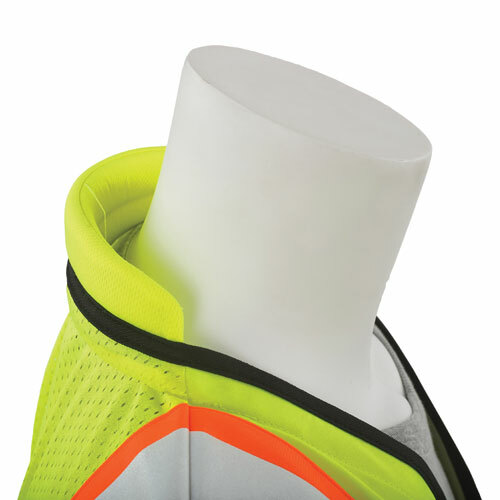 The solid front gives durability in the field while the mesh back enhances airflow and overall breathability in the warmer months. 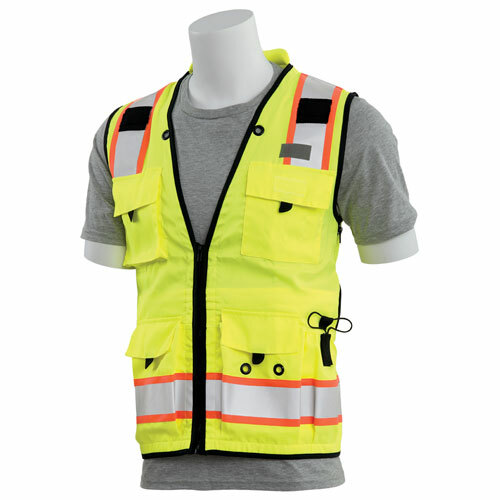 Plenty of pockets adorn this vest, along with cinch pockets on both sides for holding spray cans or water bottles. 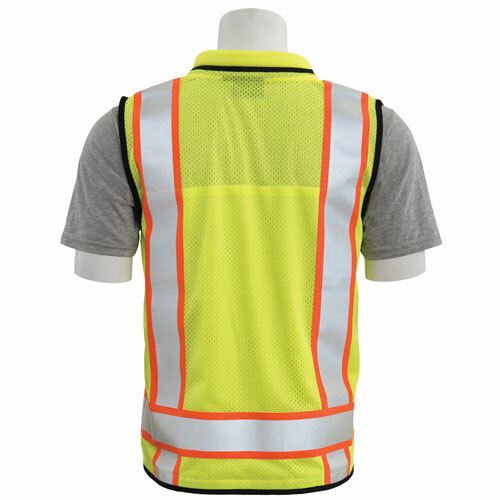 The two-tone appearance really makes this vest visible too. Simply a great product here from ERB!